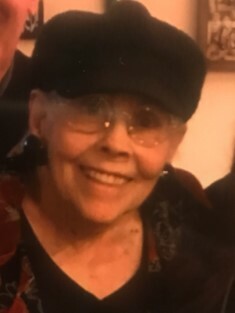 Janet Kern, 74, of Chicago, IL, passed away peacefully on Tuesday, November 20, 2018, surrounded by her loving family. She was born on January 31, 1944, the daughter of Edward and Cecelia (Custable) Gertis. Janet was a very creative woman and she loved to keep busy with her art. She enjoyed painting watercolors, gardening, and any type of fun, festive crafts. She adored her family and her love and smile will be missed by all those she leaves behind to cherish her memories. Janet is survived by her two Daughters, Jessica (Dan) Pellegrino and Jennifer (George) Main; five Grandchildren, Gianna, Vincenzo, Nico, Olivia, and GT; her Sister, Carol Krenger, and many other loving family and friends. She was preceded in death by her parents. Per Janet’s wishes, cremation has taken place and she ask that you simply remember your loved ones this year and holiday season.